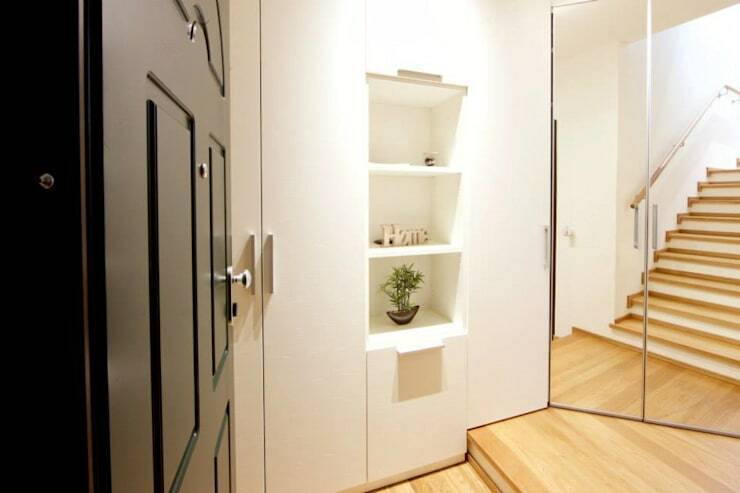 If there is one area of the home that consistently suffers from a lack of storage space, it has to be the hallway and corridor. As a thoroughfare for virtually everyone who steps foot inside your dwelling, the hallway is generally kept fairly free from furniture. However, this can often work in a counterproductive way, as clutter, junk and household miscellany can easily collect, creating mess and chaos in one of the most important areas of your home. 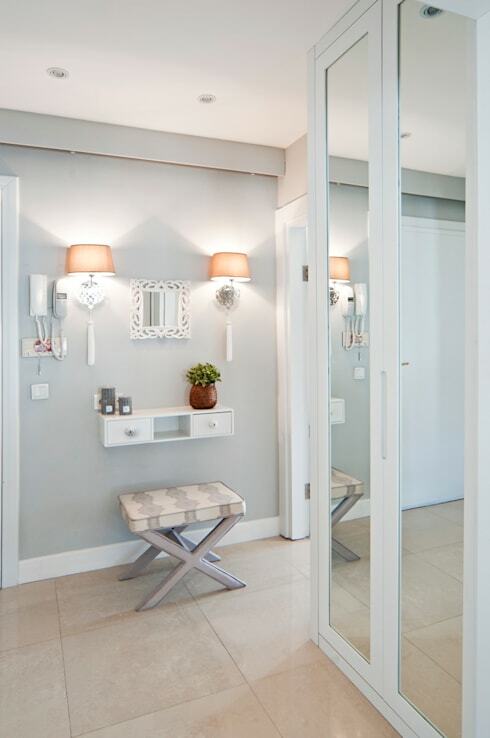 Ensuring your hallways, corridors and entrance spaces are free from clutter is a vital first step in creating a pleasant ambience and atmosphere throughout your dwelling. 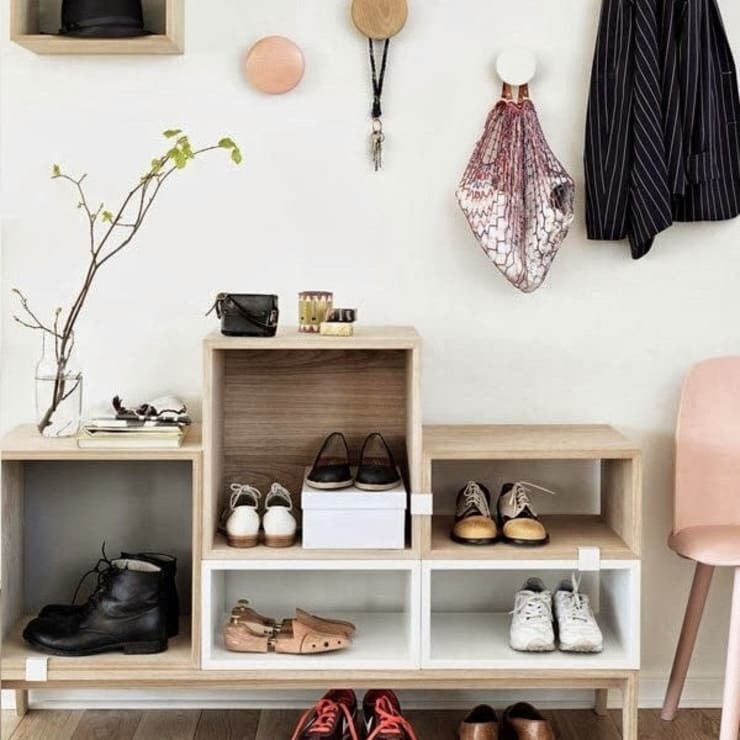 Today on homify we’re going to take a look at 7 ingenious storage ideas, which are sure to improve the overall feeling and air within your abode. So, if your property is asking for a makeover, a refurbishment, and a storage re-think, read on below to learn more. First up we take a peek at this neat setup, which boasts a classic design, and a luxurious aesthetic. In order to retain a sense of spaciousness within the room, the designers have mounted a console table/shelf on the wall. This provides essential space for letters, papers, keys and other odds and ends, while the seat offers guests a place to rest. Paired with the wall-mounted lighting, this storage is unobtrusive, yet makes a stylish statement. This next example offers a range of different and ingenious storage solutions. Wall-mounted hooks offer a place to hang coats, hats and jackets, while the shelving system promotes cleanliness through an easy to use stackable area for shoes. 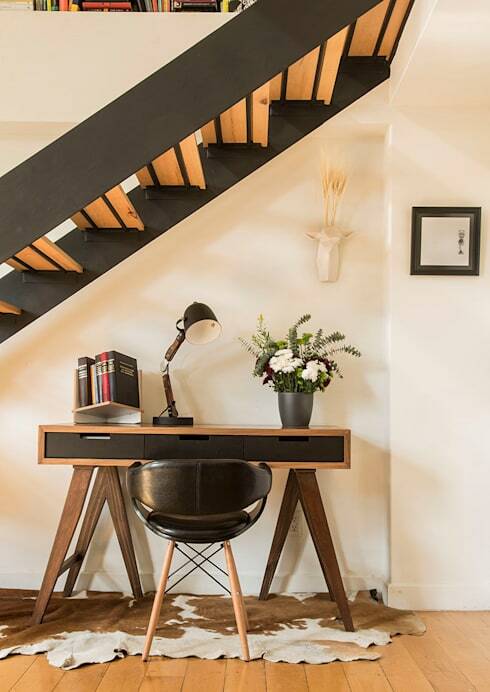 This ingenious design employs a small work space underneath the staircase, within the hallway area. Doubling as a neat space to keep domestic papers and other miscellany, it is also great for children to do their homework, or somewhere to put your laptop if you need to use it. Whether you have stairs in your home or not, there is almost always an area that can be rethought to include storage and an area for clothing. 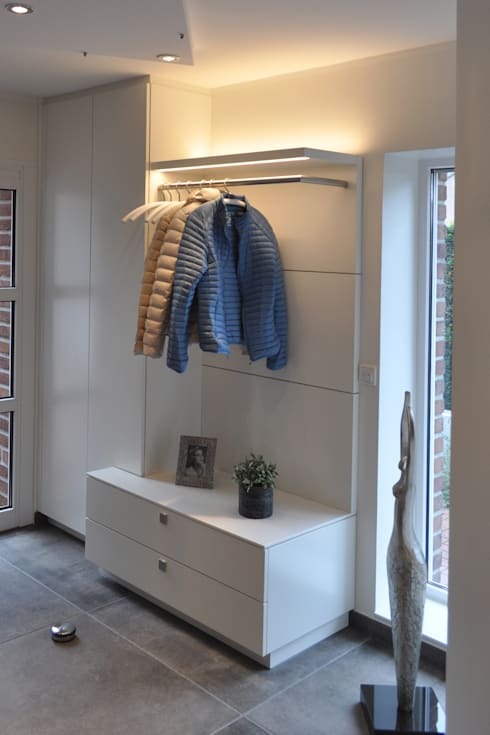 This example utilises a previously neglected space, and incorporates pull out shelving and hanging space for both shoes and coats. 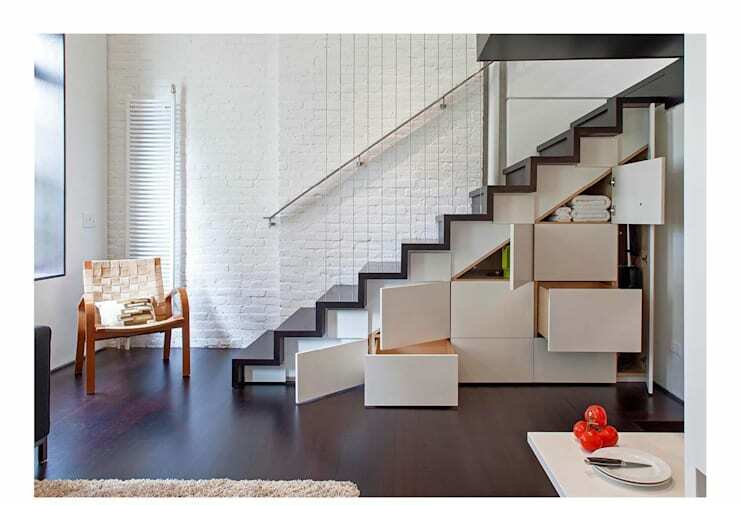 If you do possess some disused under-stair space, you should make the most of it by incorporating and employing storage areas. Chat to a professional joiner or general contractor, who will be able to advise you on the style, size and best way to undertake your project. We love storage that doesn't look like storage! And this example is a great demonstration of just that. Built into the wall, this takes off a small amount of the general space in the hall, but offers hidden cupboards, as well as statement shelves, which are perfect for displaying photos or plants. Some domestic accessories just work well and look great, and this is definitely one of them. Installed against the wall, this all-in-one storage space boasts an area to hang clothing, a console shelf to display ornaments, and drawers below to hide shoes or other accessories. In addition, the illuminated top shelf offers a warm glow within the corridor, which cordially invites residents inside. Do you think any of these storage solutions would work in your home? If you want to see some more fabulous entrances, check out: 8 sensational ideas for small entrance halls, and continue reading! Is your hallway heavenly or completely cluttered? Let us know!